There are dozens of legitimate reasons to want to sell a timeshare, but when you're ready to sell, the question isn't really why are you selling your timeshare—It's how to sell your timeshare? Find a resale option that works for you— This could mean advertising on a for-sale-by-owner website like SellmyTimeshareNow.com, selling your week back to the resort, or hiring the assistance of a licensed timeshare broker for qualified properties. 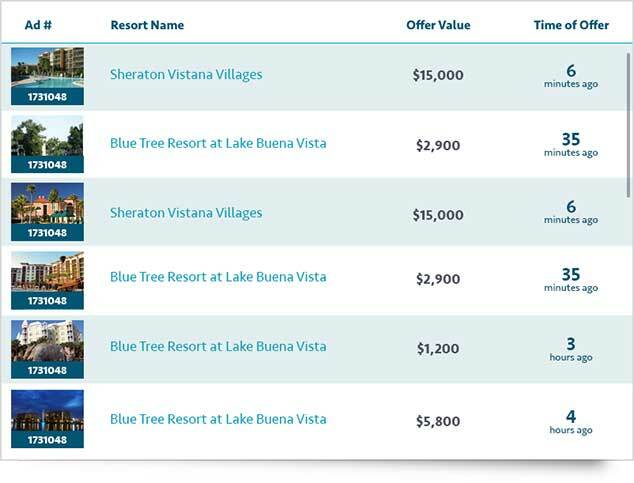 Know your goals for selling your timeshare—Do you want to sell fast? Maybe you’re not in a rush but want to keep your options open? Creating a definitive goal can help you narrow in on a smart asking price and accomplish what you set out to do. Listen to the experts—Independent timeshare experts like those at SellMyTimeshareNow.com can help you find a competitive asking price, offer professional advice, and be by your side throughout the selling process. Have realistic expectations—Timeshares provide travelers an opportunity to invest in vacations, not make a profit. Keep in mind that you’re not likely to make back what you originally spent on your timeshare, so be flexible. Be willing to negotiate—You might receive an offer lower than desired, but there's always a chance of finding a little wiggle room! Work with the interested buyer to come to an agreed price you both are happy with. The for-sale-by-owner advertising option is probably the most convenient and cost-effective way to sell timeshare, just be sure you have the time to manage buyer inquiries independently. That said, there are two factors - over which you have control - that inevitably affect how to sell timeshares successfully; these are exposure, and, more importantly, price. Our first tip when selling timeshare on your own? Choose a for-sale-by-owner website that is truly visible in Internet search engines. The timeshare industry is one that spans more than 200 countries, thousands of resort locations and millions of existing and prospective owners, so when it comes to how to sell time share (and to reaching that substantial audience of buyers), it makes sense to advertise on the World Wide Web. But in order to attract potential buyers to your timeshare advertisement, for-sale-by-owner websites must be well-positioned in search engines like Google for relevant search terms such as "timeshares for sale." These websites also must have demonstrated their ability to attract unique visitors to their website. Our second tip when selling a timeshare yourself? Have realistic expectations when you price your timeshare. Chances are if you are thinking about selling your timeshare, you already know that resales tend to sell for only a fraction of the price of developer-sold time shares. If you originally purchased from a resort, no matter how you sell your timeshare now, you will not make a profit, nor are you likely to make back what you spent. This doesn't mean that you can't put some cash back in your pockets after deciding how to sell a time share. Simply remember that there will be many other similar resort properties and weeks on the market at the same time as your own - if your price isn't competitive with these other timeshares, then it's not likely to sell. That said, don't undersell yourself. Certain weeks and properties (Disney, Four Seasons, etc.) will always garner higher resale prices, and you don't want to miss out on the chance to get more cash for your resale. Also remember to consider the particular aspects of your week that will affect your ability to price it higher or lower - is it a red week property or is it an off-season week? Is your unit a studio or a three bedroom lockout? What extra amenities does your resort offer that others in the same area do not? Is your usage annual or biennial? Is your usage fixed, floating or points-based? Each of these factors will contribute to how you price your timeshare. Also remember the goals that you established when you decided how to sell your timeshare. If you want to sell your timeshare fast, price your vacation property at or below the low range of prices for properties similar to your own. When buyers are looking for a time share, they will inevitably look at the properties which are priced lowest first. If a fast sale is less important to you, price above the lowest offer you'd be willing to accept (or toward the high range of prices for properties similar to your own), and go from there. You never know, someone might be looking for your exact destination, resort, week and unit, and might be willing to pay more than you'd expect to get exactly what they want. It can be difficult to know how to sell timeshare, let alone how to price your timeshare resale. SellMyTimeshareNow offers a free service to our users—a market value consultation with one of our advertising professionals—that can help you determine how to price your timeshare resale. Our employees have years of industry knowledge and understand all the factors that influence the resale value of timeshares, so they can offer you sound advice when it comes to pricing your time share to make it sell. For those owners who do not want to deal with figuring out how to sell a timeshare on your own, a timeshare broker can provide you with valuable assistance throughout the entire sales process. Timeshare brokers are also a great option for owners who do not wish to pay an upfront fee to advertise their timeshares, as most legitimate brokers charge a commission only after your timeshare has sold. If you don't know how to sell a timeshare property, and you have no desire to take the sale into your own hands, a broker is an invaluable asset. The same factors—exposure and price—will affect the sale of your timeshare if you enlist the help of a broker instead of opting to learn how to sell your time share yourself. The difference is that a broker will actively seek buyers to purchase your property and will know how to price your timeshare to help it sell quickly in any market. Because SellMyTimeshareNow knows that not every owner has the time or desire to negotiate with buyers on their own, we offer the option to work with one of our experienced, licensed timeshare brokers. Timeshare Broker Services—the brokerage division of SellMyTimeshareNow—is comprised of licensed real estate professionals whose specialty is knowing how to sell timeshares. Most timeshare brokers charge commissioned brokerage fees in excess of 25% or even 35% of your timeshare sale price, but Timeshare Broker Services has one of the lowest brokerage fees in the industry at only 15% or $1,500 (whichever is greater). Owners who choose our brokerage services also benefit from the same great Internet exposure as our for-sale-by-owner advertisers. The only difference is that your broker will handle and incoming inquiries on your time share property, and will strive on your behalf to negotiate a sales price that is amenable to both you and the buyer. The continued success of our business and the maintenance of our reputation as a trusted online timeshare reseller depends on the success of our timeshare resale advertisers. Although SellMyTimeshareNow charges a nominal, upfront fee for advertising —one of the lowest in the industry, in fact— we also invest money, time and dedicated staff members to attract buyers and renters to our website. Once on our website, our convenient site search functionality allows buyers to find your timeshare easily from any page. Our online advertising platform makes it simple to resell timeshares. Sign up for our online advertising program with no recurring fees. Your customized ad is live on our site within 2-4 business days. All offers made on your ad are presented to you via email or phone for consideration. Professional closing assistance is available once you negotiate a sale price (typically, the buyer pays the fees). Timeshare sellers, click here to sell your timeshare. The resale option that you choose will inevitably depend on your finances, lifestyle and ability to be involved in the sale. 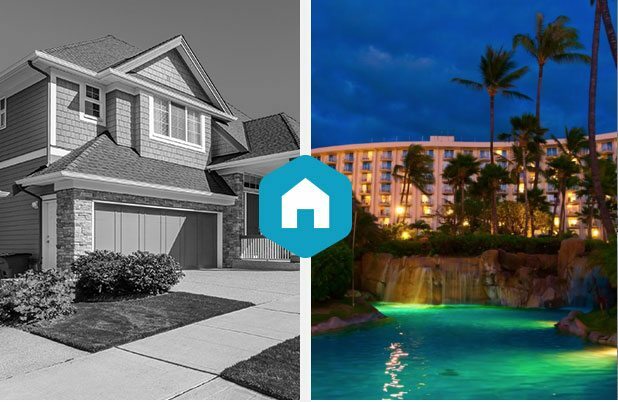 Whether you are interested in taking advantage of our for-sale-by-owner advertising, or you'd like to pursue a transaction assisted by one of our licensed timeshare brokers, we hope that we have answered any of the questions you may have had about how to sell your timeshare. If you have any remaining questions, please feel free to call or contact us today—our industry professionals are waiting to share their knowledge of how to sell time share in today's market with you.